It's been four years since I left Lloydminster, but it hasn't left me, and that's how I know this community deserves to host Scotiabank Hockey Day in Canada on Saturday. Someone once told me the people we meet and the places we visit stay with us either for a reason, a season, or a lifetime. I only lived and worked in Lloydminster for a year and a half, but the memories that I made, the lessons I learned and the people who treated me like family are still part of me. Bigger is better when it comes to your pickup truck. "Chucks" are not sneakers made by Converse but wagons driven by real cowboys for big bucks. A remote starter for your vehicle is not an option but a requirement if one is to get to work on time. 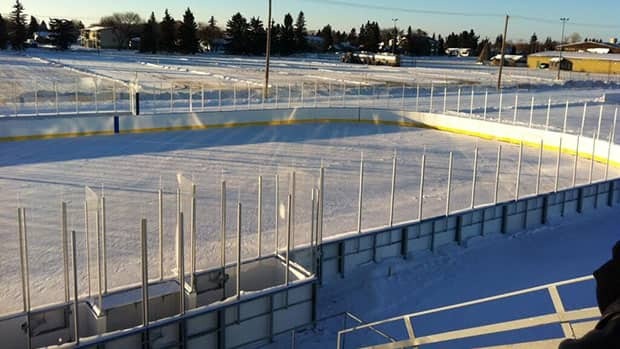 What stands out most to me after my time there, besides how long I could last out on the frozen pond at Bud Miller Park in minus-22 degree weather, was how there isn't any challenge this community can't overcome when people work together. Lloydminster personifies grassroots hockey. When there was a chance that junior hockey could be on the way out of this city, I saw firsthand that passion for the game combined with the drive and determination of community stakeholders can do anything. "Saving the Bobcats" is an initiative I'm proud to say I was part of, but the city and the community can't be defined solely by that experience. It's so much more than that. I hope that the festivities, experiences, and memories made this Hockey Day in Canada prove to the rest of Canada what I already know and love about Lloydminster -- this is a growing and developing city, with a passionate and welcoming community capable of celebrating the game of hockey on the most grand of scales. Party on, Lloydminster! You've earned it. Thank you for once again letting me be a part of history in the making, and yes, I would be more than willing to climb back onto the roof of the Civic Centre and "Camp Out for a Sell Out" if you need me. Carly Agro Carly joined CBC Sports in 2012 as a reporter and host of the daily update desk, filling viewers in on the latest news and highlights. An accomplished club soccer player, the Burlington, Ont., native played goal in the U.S. collegiate ranks before beginning her broadcasting career in 2007 with the NBC affiliate in Baltimore. She has also worked as a local anchor and reporter in Alberta, and for the Hamilton Tiger-Cats, and remains a big fan of CFL football.